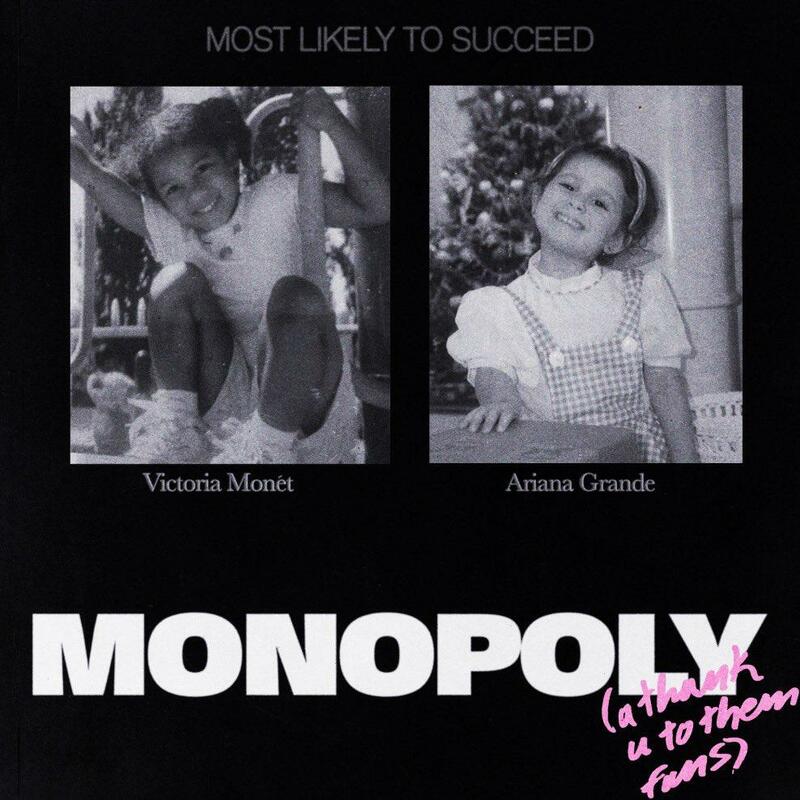 Home>New Songs>Ariana Grande Songs> Ariana Grande & Victoria Monét Collaborate On "Monopoly"
Ariana Grande and her best friend team up in their new song. Earlier today, the lyrics to Ariana Grande and Victoria Monet's upcoming song were released and immediately, fans went crazy. Firstly, Ariana's fanbase was just excited to finally be hearing a collaboration between the two artists. However, something more interesting made headlines. In the track, Ariana rhymes "I like women and men" and many believe that the singer is coming out as bisexual in the lyrics. The lo-fi video for "Monopoly" won't help anybody come up with answers but the song has officially been released and is ready to be overanalyzed by the Arianators. "Monopoly" is the latest addition to Ariana Grande's growing list of hits. The singer is candid in her lyrics. On top of the possible "coming-out" moment, the star also admits that she made an entire album off the Veuve Clicquot. Grande also says that she never had to track her vocals because of her vocal coach Eric Vetro, shouting him out. Ari also discusses how she still believes "7 Rings" is a win despite giving up 90% of the royalties. The song starts out with Victoria's verse, leading into Ariana's later on. Check out the funny video below where the two best friends dance on top of a rooftop and have a general good time. SONGS Ariana Grande & Victoria Monét Collaborate On "Monopoly"